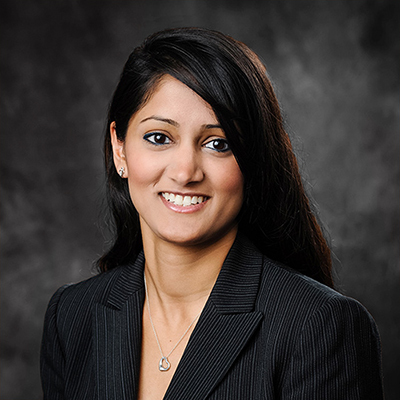 Amita received her undergraduate degrees from Penn State University in 2010 and her law degree from Quinnipiac University School of Law in 2013. She is licensed to practice law in Connecticut. 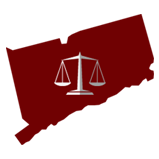 Amita is primarily involved in civil and commercial litigation. Her practice areas include personal injury, workers’s compensation & work related accidents, professional malpractice, labor & employment law, business & contracts disputes. While much of Amita’s work involves representing the injured party, her practice areas also include insurance defense. During her educational career at Quinnipiac University School of Law, Amita was a member of the Mock Trial Honor Society. She competed in the 2012-2013 ABA Labor and Employment competition, where she won the New York Regional Competition and finished as a finalist at the National Competition in Dallas, Texas. Amita was also the Executive Managing Editor of the Quinnipiac Health Law Journal during that same year. During her second and third years of law school, Amita worked as a law clerk at a Waterbury firm where she was involved in the mediation of a multi-million dollar wrongful death claim, an employment dispute involving sexual harassment and various other personal injury cases. During her third year of law school, Amita worked in the Quinnipiac Low Income Taxpayer Clinic, representing taxpayers in disputes against the Internal Revenue Service, and as a volunteer preparer of federal and state tax returns. She also interned at the Hartford State’s Attorney’s Office, where she gained valuable litigation experience representing the interests of the state and victims of criminal offenses. Each year, no more than 2.5 percent of the lawyers in the state are selected by the research team at Super Lawyers to receive this honor. The annual selections are made using a process that includes a statewide survey of lawyers, an independent research evaluation of candidates and peer reviews by practice area.